ADORN is a warm and welcoming brick and mortar nestled in a historic building in downtown Christiansted, St. Croix, US Virgin Islands. 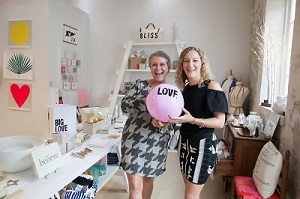 A dream of co-owners Savannah Holden Ridgway and Kris Massicott (of ib designs), ADORN was born to inspire making a home happier, to delight your loved ones, and to celebrate your inner whimsies. ADORN offers a curated collection of women’s and men’s apparel and accessories, home décor, beauty and gift items. ADORN is honored to support local, independent designers and handmade artists. The exclusive home to Baja Zen, Susana Monaco, Herbivore Botanicals, S’well, and local designer, Gina Feddersen of Isola Bella.